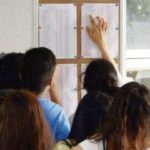 The exam results of the nearly 60 000 candidates that sat for the Grade 12 Ordinary Level examinations at the end of last year will officially be available at a quarter past midnight on Friday morning. The Permanent Secretary of the Ministry of Education, Arts and Culture, Mrs. Sanet Steenkamp announced that moderators has made good progress with the marking and processing of the examination data and will be able to officially release the provisional Grade 12 (NSSC) Ordinary Level results for full-time and part-time candidates on 11 January 2019. This year 56 534 candidates comprising of 23 594 full-time and 32 940 part-time candidates were registered for NSSC Ordinary Level subjects. 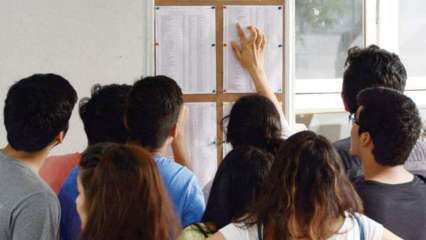 The number of Ordinary Level candidates increased by 229 (0.4%) when compared to 2017. As in the past the results will also be available on https://informante.web.nathe web page of Informanté on the internet. It should be noted that due to high volumes of learners wanting to access the page at the same time causes it to slow down. With a bit of patience the results would become available. According to Steenkamp the results will be available on the website of the Ministry of Education www.moe.gov.na and will also be accessible via an SMS service. Send this information to any of the following numbers 2929, 99099 or 55755 and in response your surname, name and results will be displayed on the screen of the cell phone from which the message was sent. All the websites and the SMS service will become active on, Friday, 11 January 2019 at 00:15 minutes after midnight. All candidates who were registered for the 2018 National Examinations are reminded to have their candidate numbers nearby in order to be able to access their results. Regional offices will provide service during office hours by supplying the results from the broadsheets to candidates and relatives who personally visit the Regional offices or phone the numbers given on the list below.